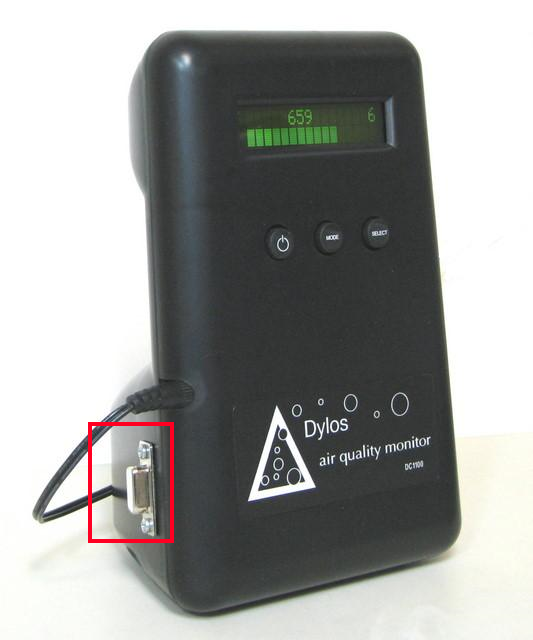 The PC Interface Option has all the features of the standard DC1100, but also has a COM Port interface that allows you to capture the air quality data to a PC for graphing and analysis. 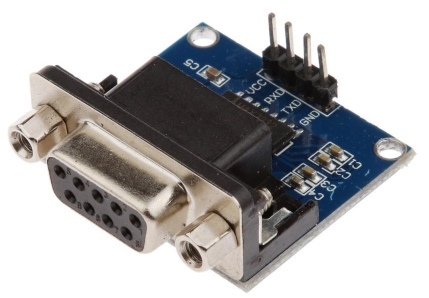 A 9pin serial cable or USB-to-COM Port Adapter (not included) links the DC1100 to your PC or laptop which then captures the data as it samples. Is it possible to connect such a device directly to an Arduino so that measured data are sent through the Serial Interface and Arduino is able to read them and manipulate them? Yes, with a small converter board it can be connected to an Arduino. 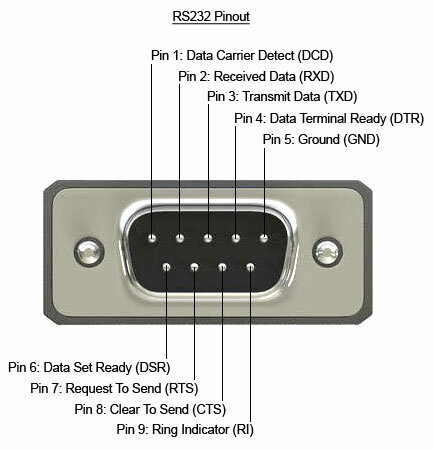 The "9 pin serial cable" is very likely an RS-232 interface. Basically UART with flow control and other modem lines. Most likely it hasn't any of them conencted but that standard RXD, TXD and GND. These are all the connections needed for the microcontroller. The voltage level of RS232 is however specified in a wide range (plus/minus 3V to 25V), so you need a converter chip (e.g. this one with a MAX3232, search for "RS232 to TTL Converter Board"). You need to measure the voltage levels with a multimeter to see what converter for what voltage rage you need. Then conencting it to an Arduino is as simple as just connecting these 3 wires to the Arduino, either to the Hardware Serial port (D0, D1, GND) or via a software serial port. However, receiving the communication data is only half the battle. You still have to figure out what the sent data represents and what commands you can send the device. Without datasheets from the vendor, you are left alone. This is where reverse-engineering starts. As a starting point, you can "eaves-drop" on the communucation that PC software does with the device by just connecting a USB-RS232 converter to your computer and connecting the RX line line to either the TX or RX line of the the target device's COM port. This allows you to see the entire communication exchange. From this you might be able to see what commands you're supposed to send. But as I said, from there it's unchartered territory. Arduino Yun Serial Terminal Overflow Issues? Has anyone used an Arduino to transfer software to an Apple IIe?